1 Hotel & Homes South Beach is perfectly situated in the heart of the sunny city of Miami Beach, between South Beach's pedestrian friendly Lincoln Road and the internationally famous Art Deco District with a number of preserved historical buildings. 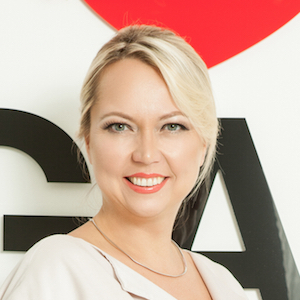 The area features a variety of fashion boutiques, Miami's best restaurants, lounge bars, famous night clubs, galleries, museums, cultural centers. 1 Hotel & Homes South Beach is within walking distance from Miami City Ballet, Collins Park, the Bass Museum of Art, a number of elaborate spa salons. White sand beaches, heartwarming sun, the azure deep of the Atlantic Ocean, city lights, unforgettable night life, joyful people from all over the world, sharing smiles - the variety is the spice of life in Miami Beach. 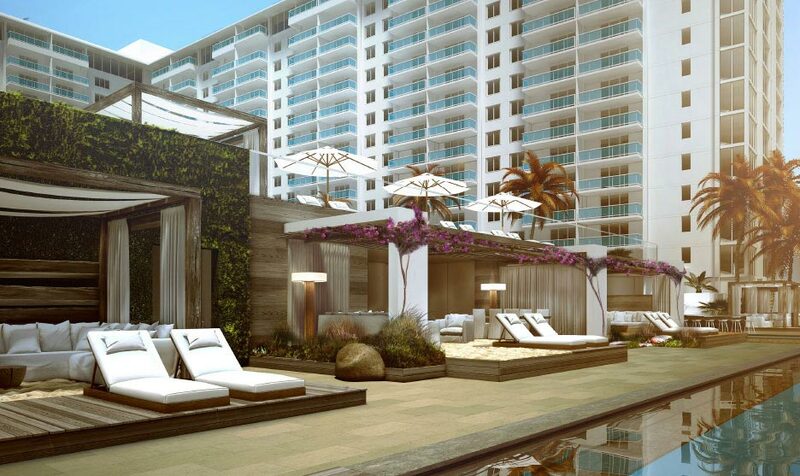 Surrounded by lush tropical gardens, 1 Hotel & Homes South Beach is a true jewel of South Beach. 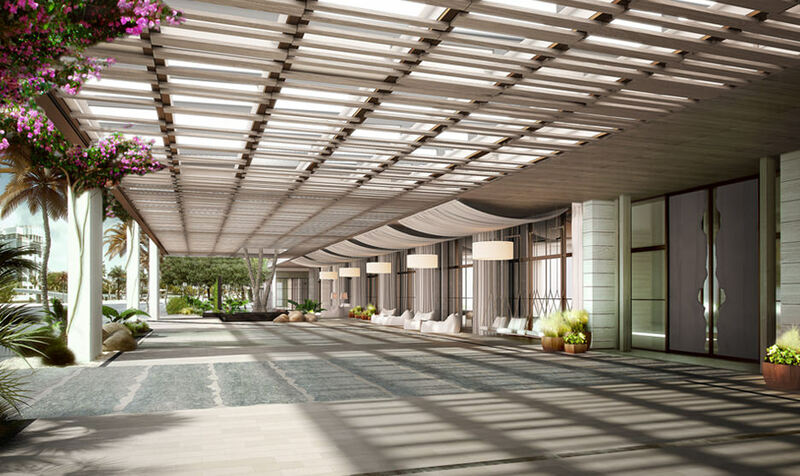 The hotel's lobby leads to beautifully landscaped outdoor spaces, which create a magic atmosphere of a tropical paradise. 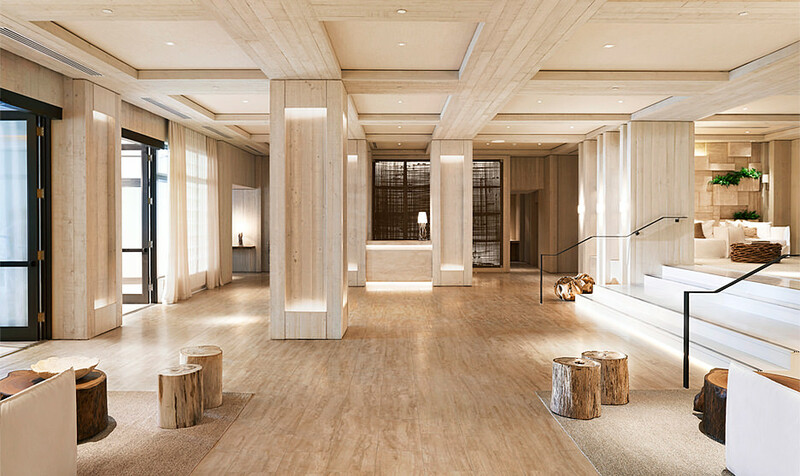 The hotel's design was masterfully developed by Debora Aguiar, who managed to create amazing interiors with natural, environmentally friendly materials. 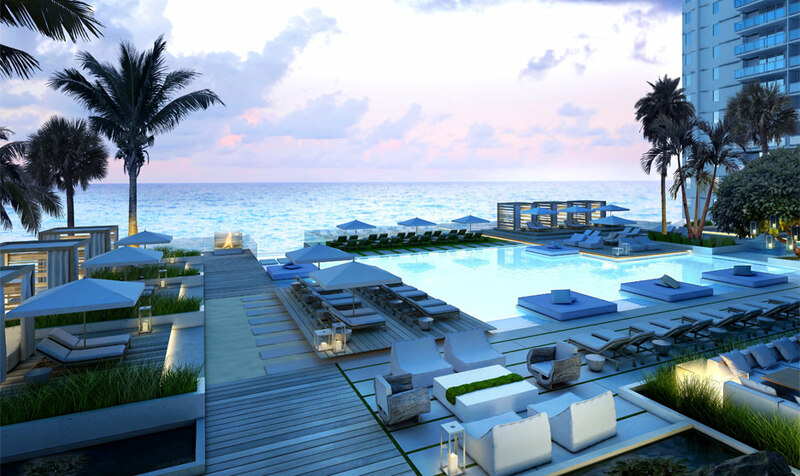 1 Hotel & Homes South Beach offers a stunning list of first-class amenities. The hotel features more than 600 feet of gorgeous beachfront, 4 swimming pools with the most breathtaking view of the Atlantic Ocean in South Beach, a furnished private pool deck and cabana lounges with upmarket furniture Life under the South Florida's sun has never been that comfortable. Want to keep fit, shake off the tension after a working day, feel refreshment of mind and body? Visit the hotel's fully equipped oceanfront spa and fitness center with personal trainers, with the total area of 25,000 square feet. Looking for a place to cut loose? 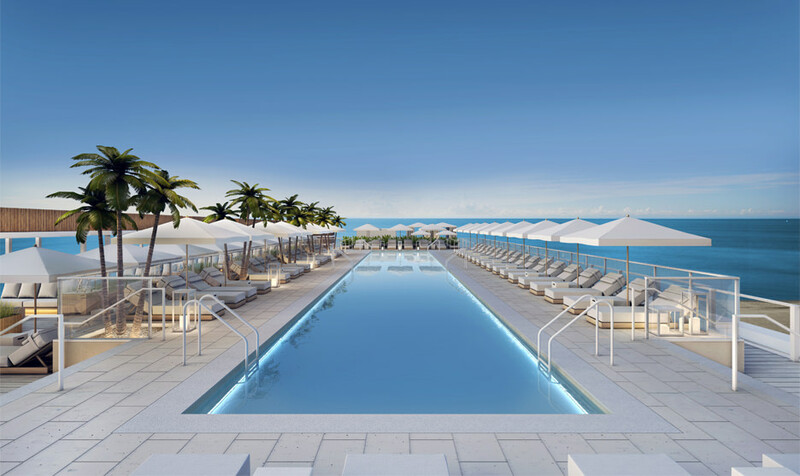 1 Hotel & Homes features the South Beach's only rooftop pool and restaurant, offering panoramic views of Miami’s skyline and the Atlantic Ocean, as well as a signature restaurant, managed by internationally famous chef Tom Colicchio. 1 Hotel & Homes South Beach offers the full set of services, 24-hour valet parking, 24-hour concierge, security, bellman services, on-demand maintenance services, including painting and repairs, newspapers and packages delivery, technical support services for computers, entertainment centers and telecommunication equipment, 27/7 assistance line, housekeeping and linen services, 24-hour in-home dining, personal shopping and delivery services, catering and event planning services, and many more. 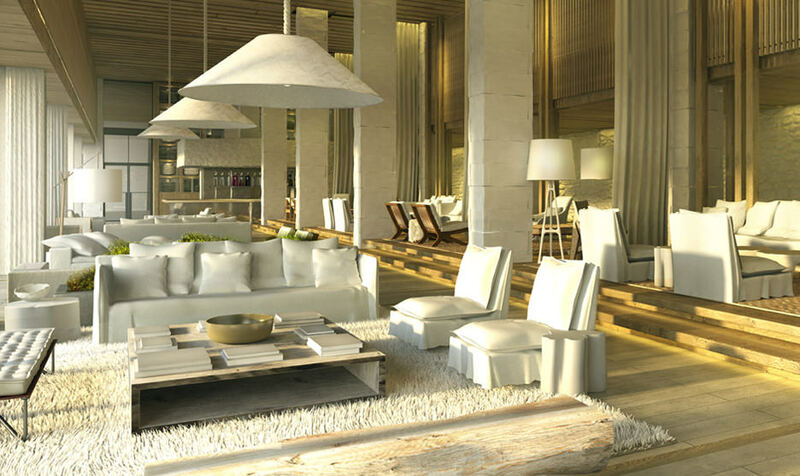 Indeed, the comfort at 1 Hotel & Homes South Beach has been taken to the highest level. 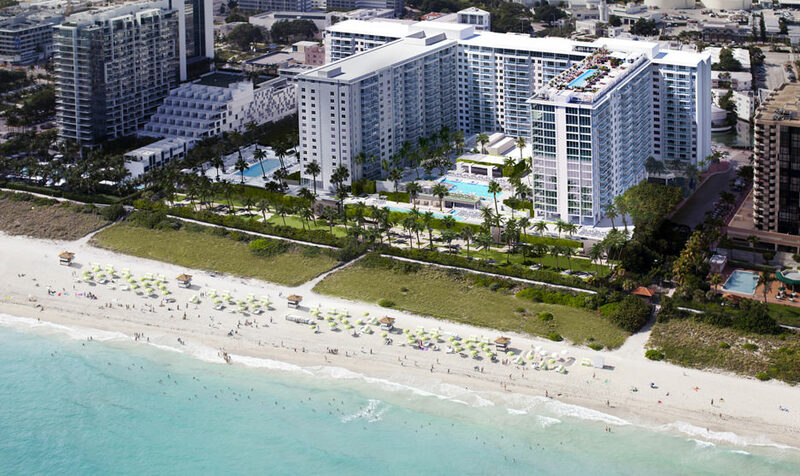 1 Hotel & Homes South Beach features several types of residences. The hotel's 417 guest rooms with the average area of 625 square feet are located on floors 2 through 8. 161 residential units with 1-3 bedrooms with the total area of 860-2,434 square feet comprise floors 9 through 15. 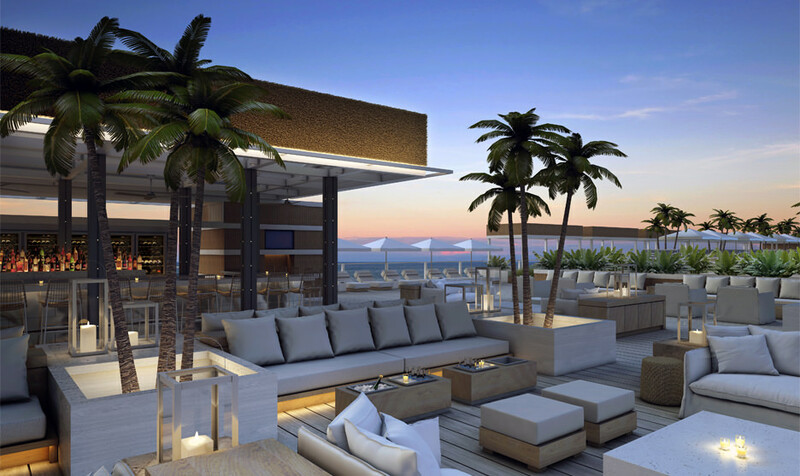 The hotel also has 16 luxury penthouses, which may be combined. Penthouses offer expansive floor plans, 2-4 bedrooms, as well as amazingly high ceilings. 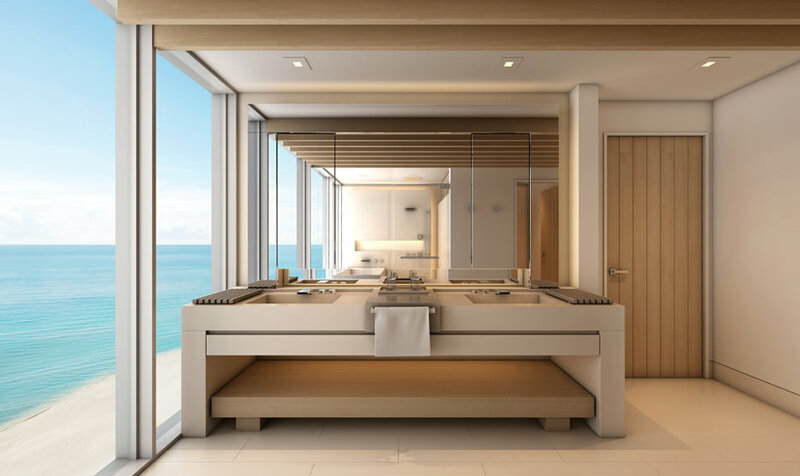 Residences are full of light, featuring floor-to-ceiling sliding glass doors and energy-efficient casement windows, spacious private balconies with unforgettable views of Miami's skyline and the sparkling waters of the Atlantic Ocean. It's a perfect retreat from the hustle and bustle of Miami, where you'll be able to recharge your batteries for a new day. Residences also feature Brazilian porcelain flooring, custom kitchens with a built-in lighting system, which was designed by Debora Aguiar, ultramodern Sub Zero and Bosch stainless steel appliances, white quartz kitchen counters, Grohe fixtures, Kohler sink basins, Yakarta blanco porcelain backsplashes, as well as sophisticated wooden cabinets. Dining will definitely become a pleasure. Furthermore, each residence is equipped with a modern heating and air conditioning system with an integrated Inncom energy management technology. Each unit has a utility room with a Bosch washing machine and a dryer. 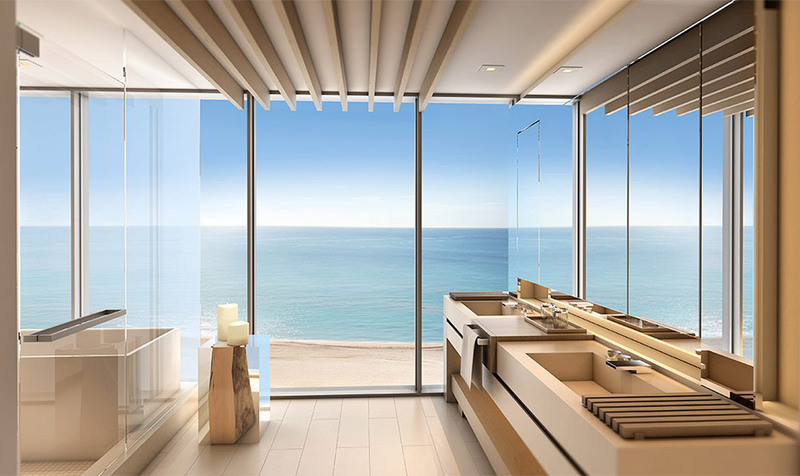 Bathrooms feature Travertine walls and floors with Emperador marble accents, Waterworks LEED-compliant bathroom fixtures and dual-flush toilets, as well as custom bathroom vanities by Italkraft. 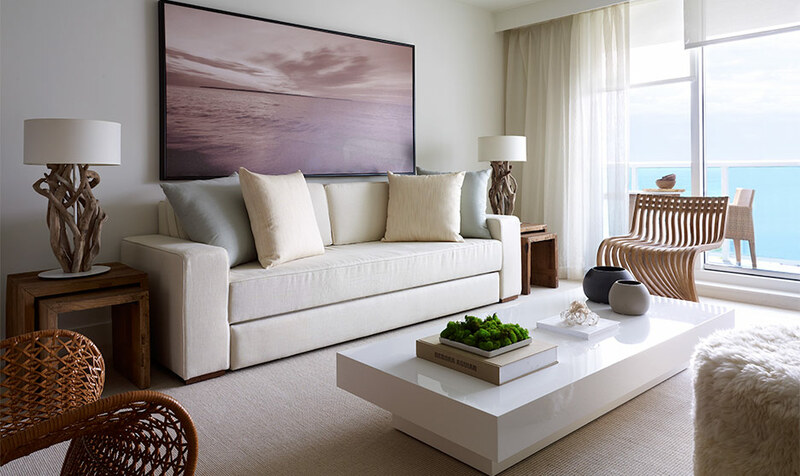 1 Hotel & Homes South Beach is a perfect place for living life to the full, exploring all its colors. It's hard to ask for a better experience!